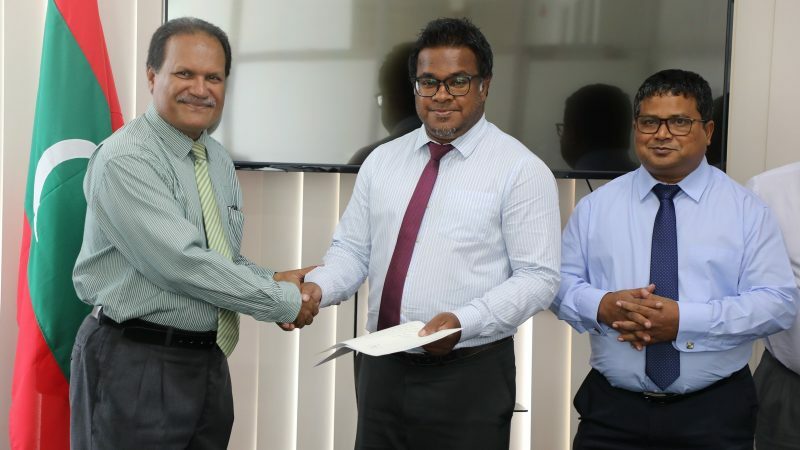 Mr. Ajwad Musthafa has been appointed as the Permanent Secretary of Ministry of Environment, at a ceremony held at the Ministry today. Mr. Ajwad has also completed a five year term as the Permanent Secretary of Ministry of Environment and Energy from 2014-2018. Speaking at the ceremony, the President of Civil Service Commission (CSC) Mr. Ali Shameem has urged to comply with the rules and regulations of CSC with regard to managing the responsibilities of the Ministry. The Ministry welcomes the appointment of Mr. Ajwad Musthafa as the Permanent Secretary Ministry of Environment and wishes for another successful term under his exemplary leadership and guidance.